NOW Apple Fiber includes the excess portion of Jonathan, Red Delicious, and Rome varieties of apples. 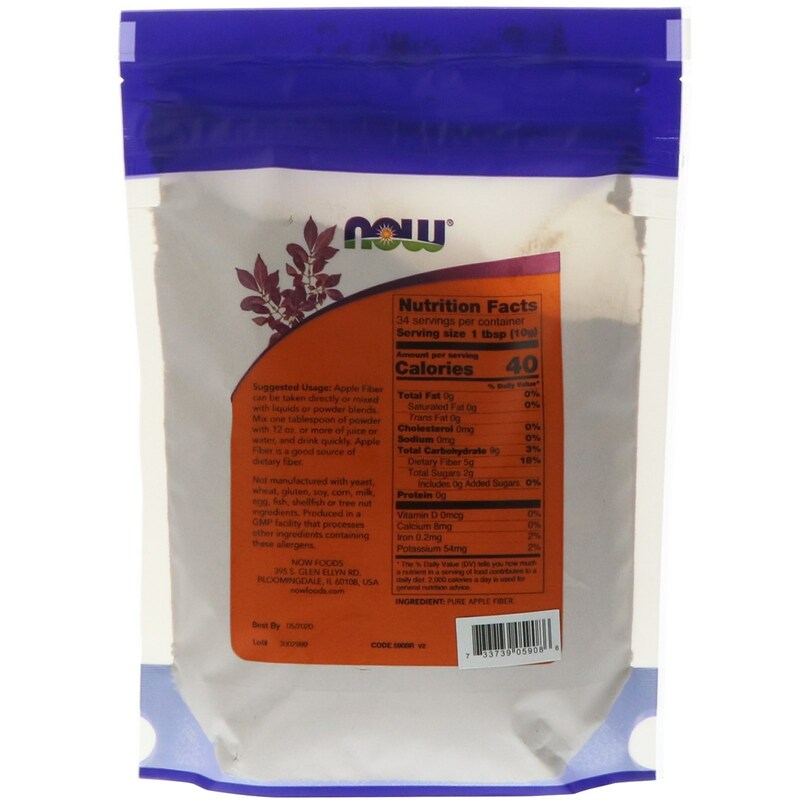 It naturally has 10% pectin, which is sold separately as a dietary supplement. Apple Fiber can be taken directly or mixed with liquids or powder blends. Mix one tablespoon of powder with 12 oz. or more of juice or water, and drink quickly. 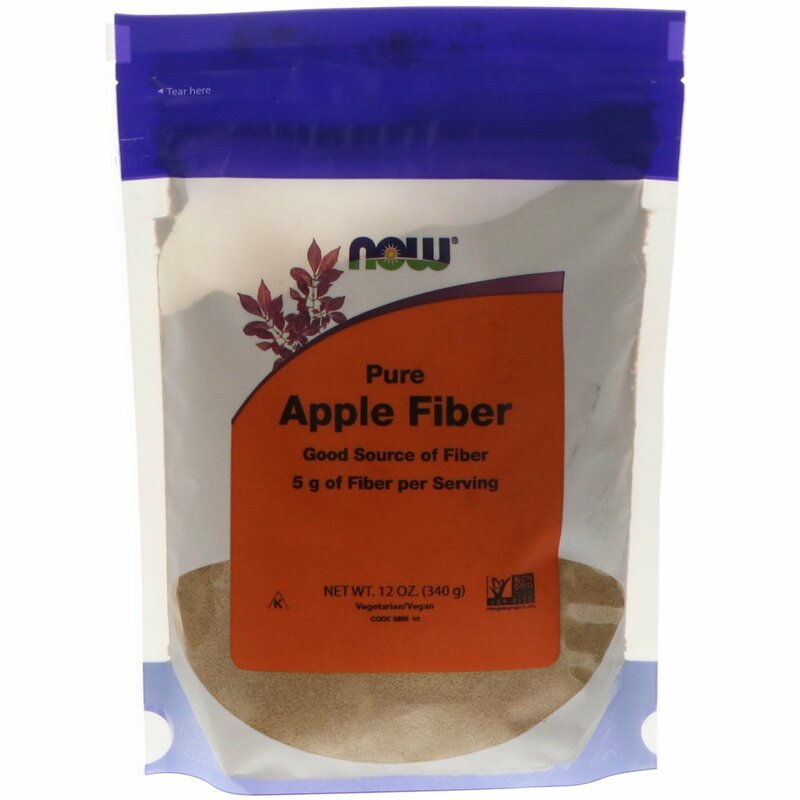 Apple Fiber is a good source of dietary fiber.